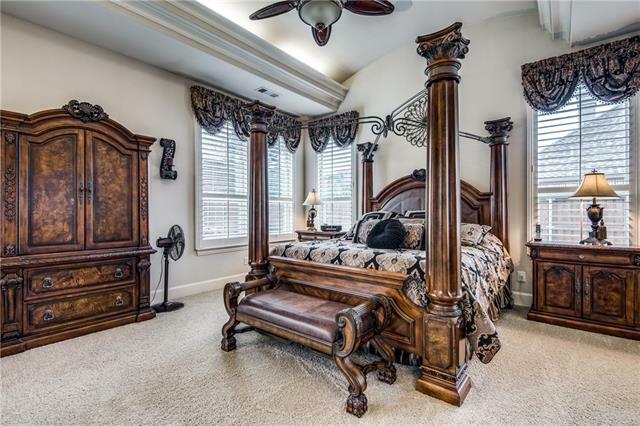 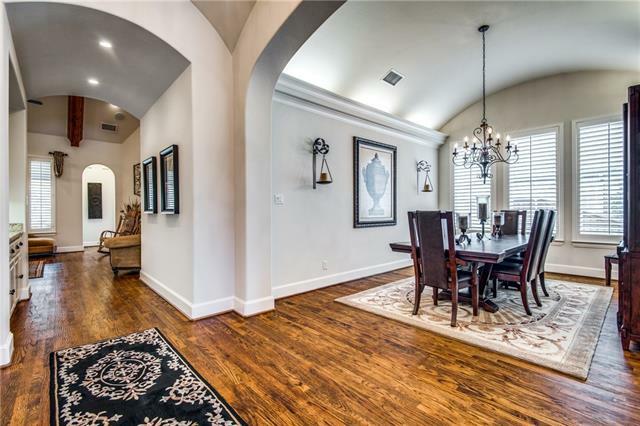 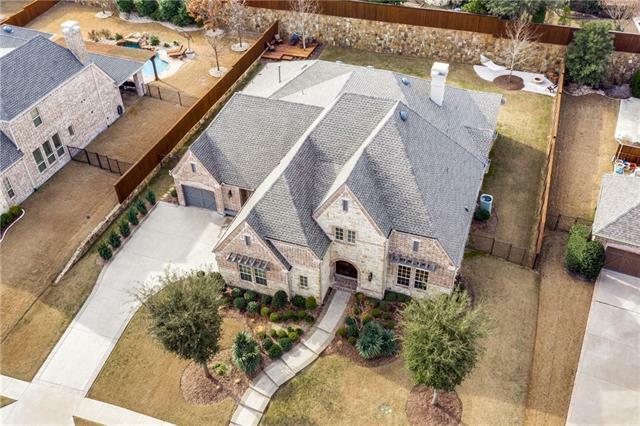 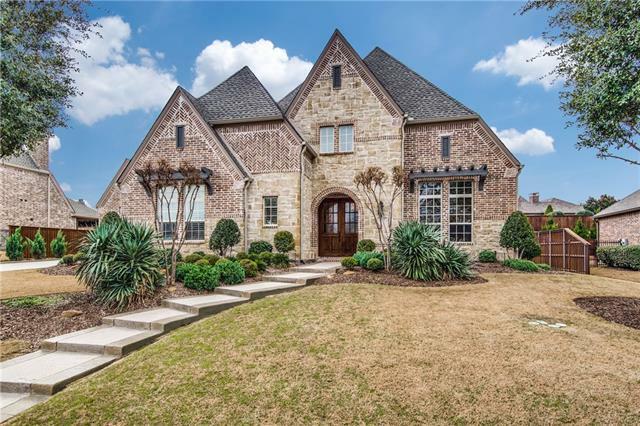 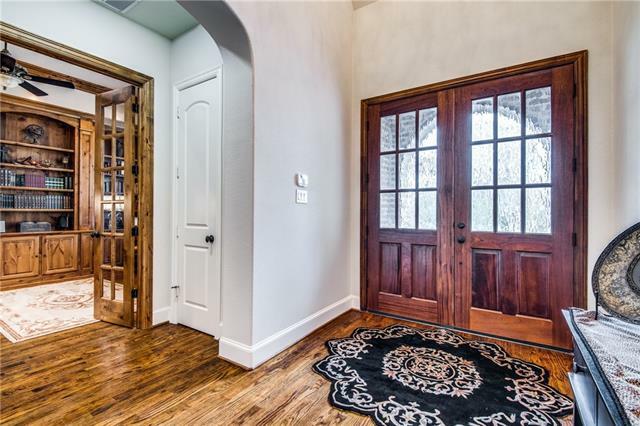 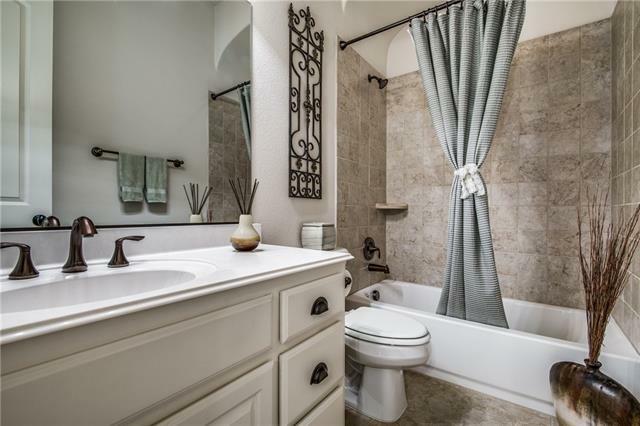 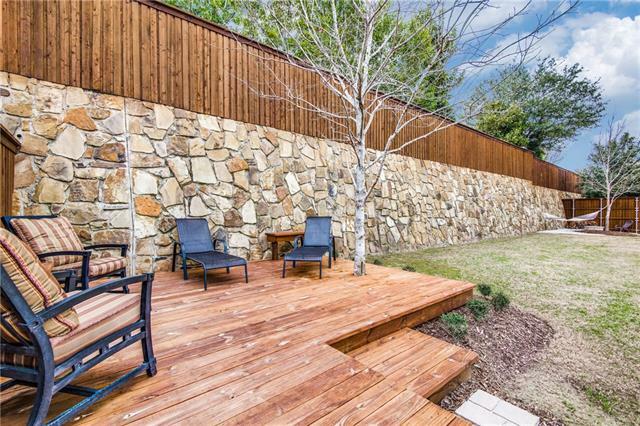 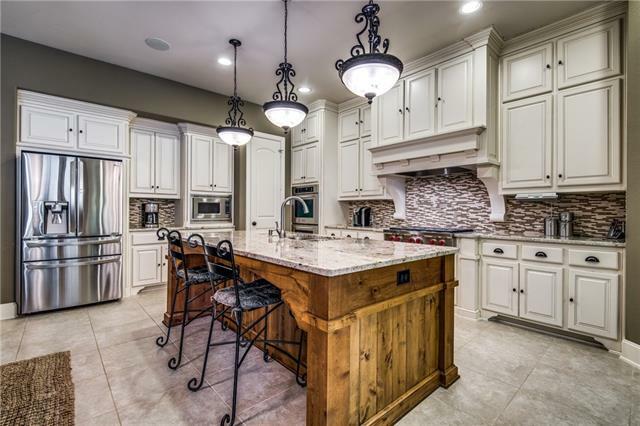 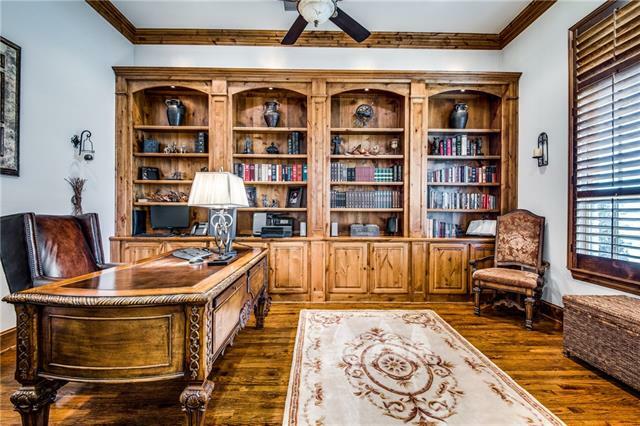 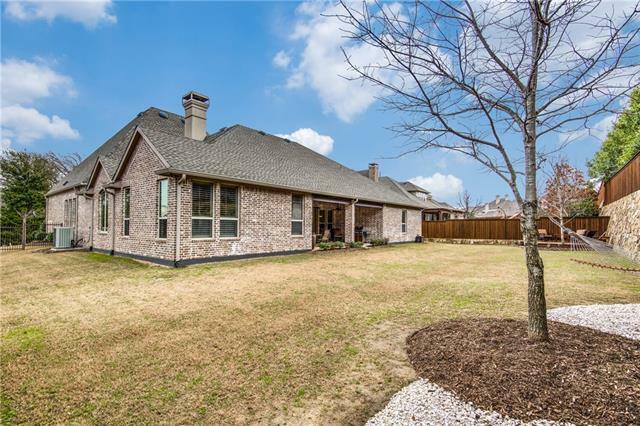 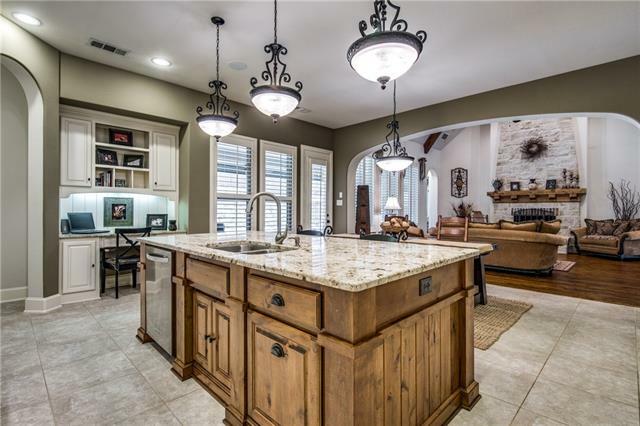 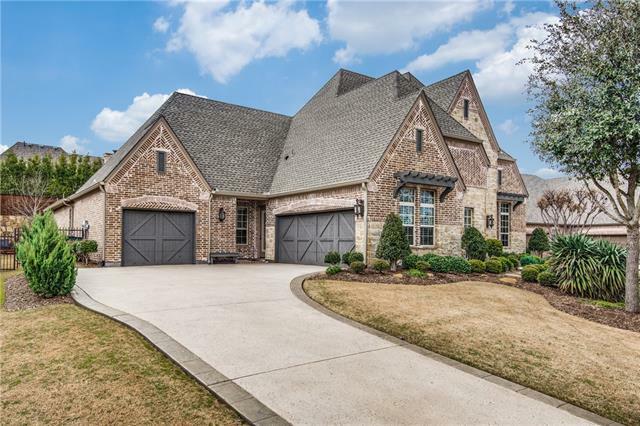 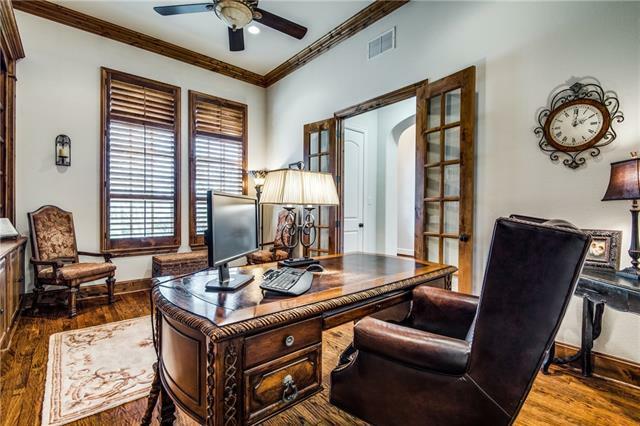 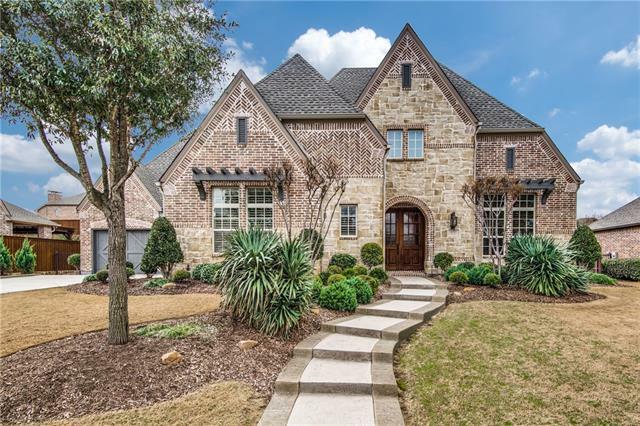 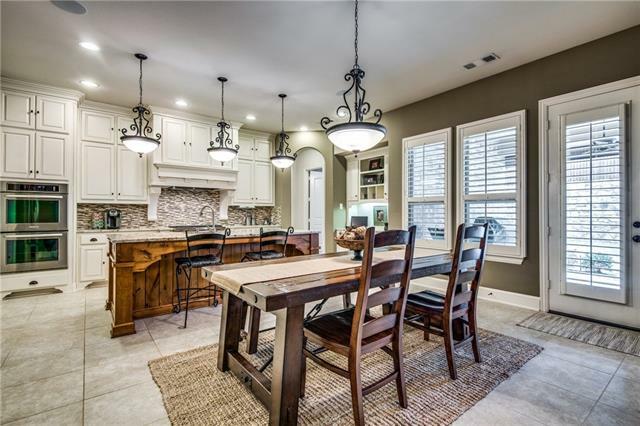 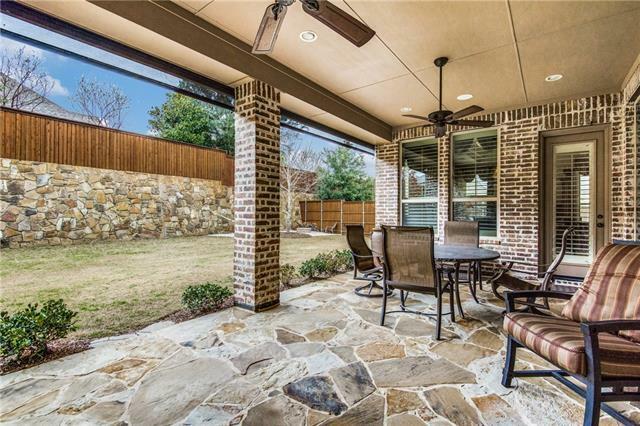 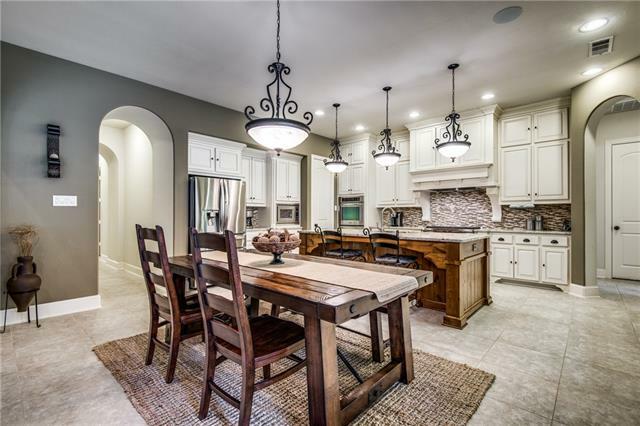 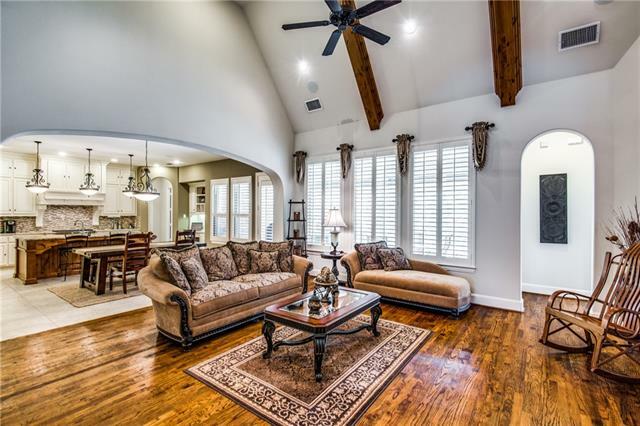 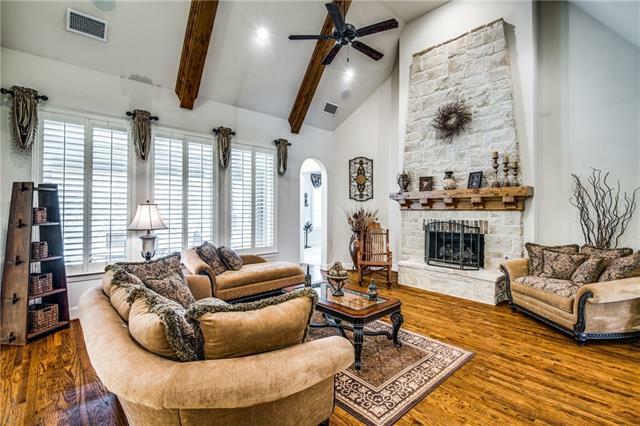 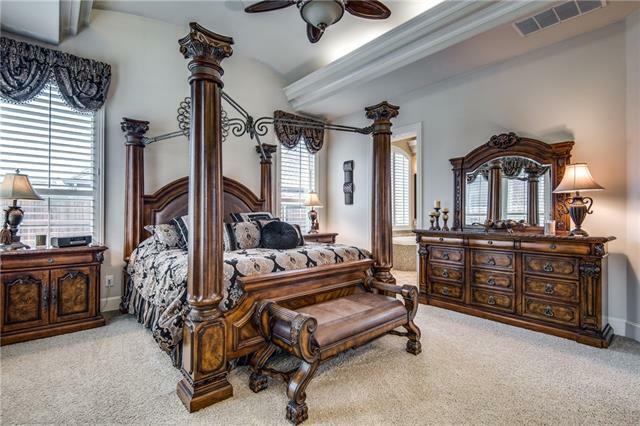 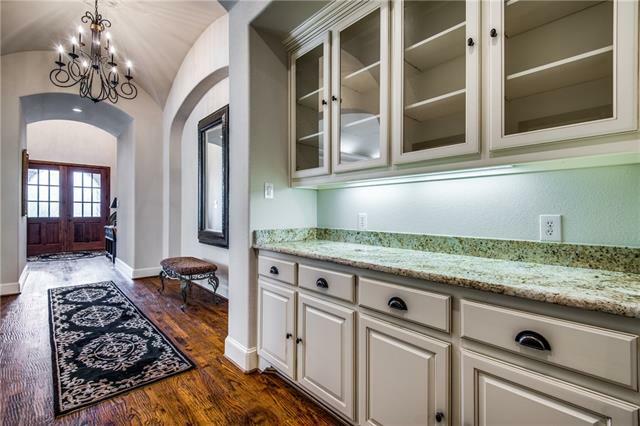 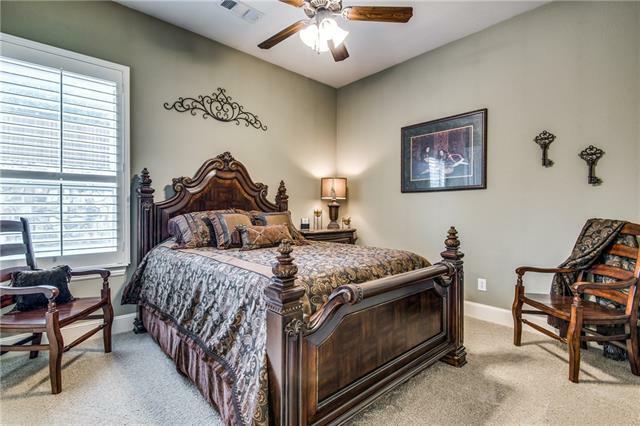 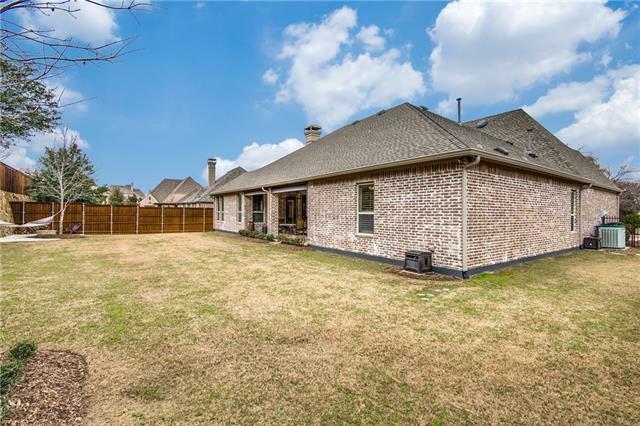 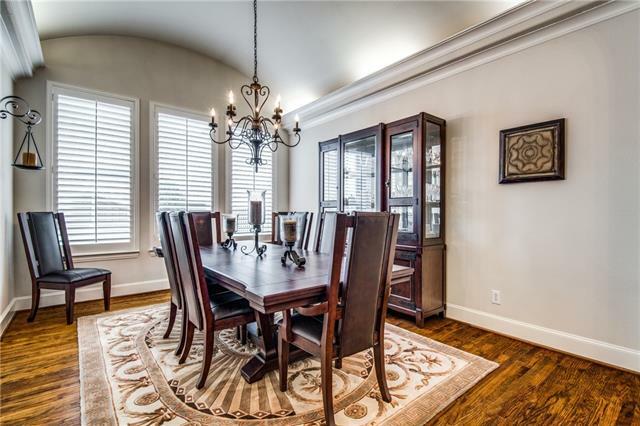 Huntington Custom single story in highly sought after Prosper, TX. 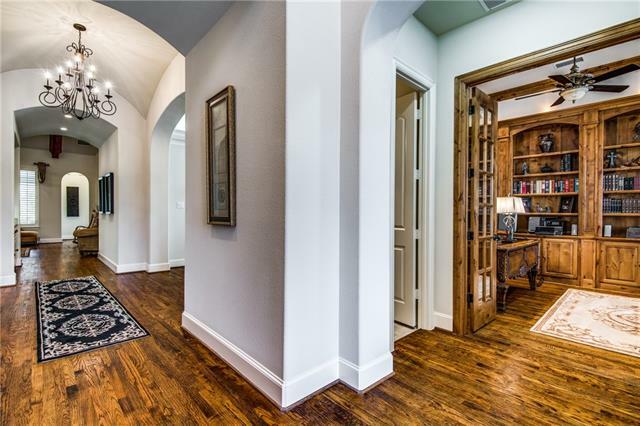 This stunning floor plan features a grand study and magnificent entry way with extensive hardwood throughout. 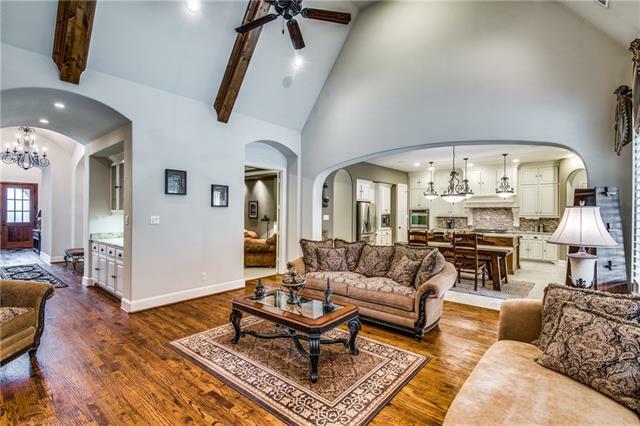 The heart of the home is the open kitchen, cathedral family rm with floor to ceiling fireplace. 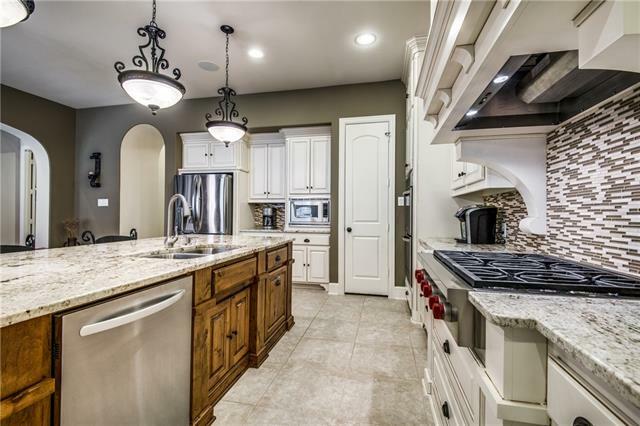 Gourmet chef's kitchen including granite, dbl ovens,island, and gas cook top. 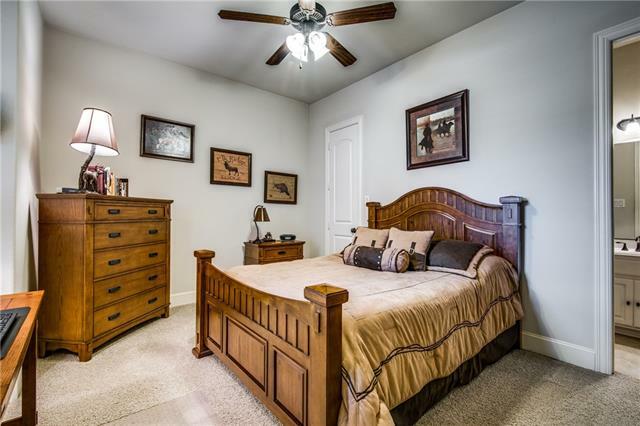 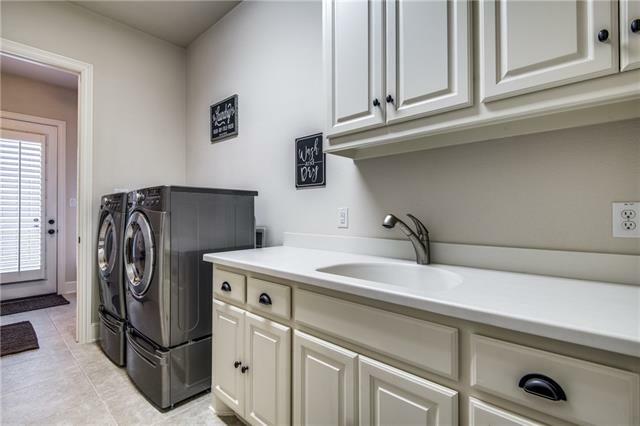 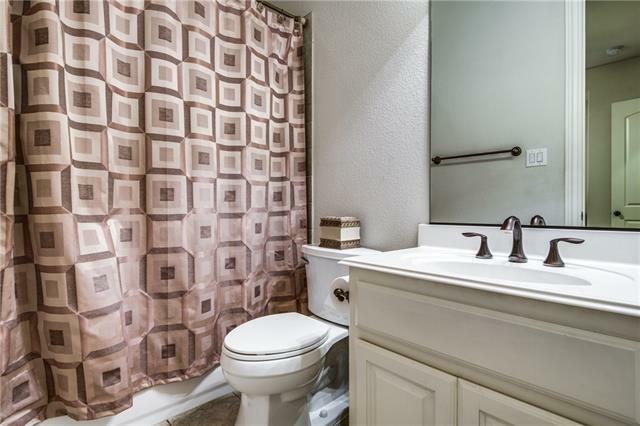 Bdrms are over sized each with designated bathroom and walk in closet. 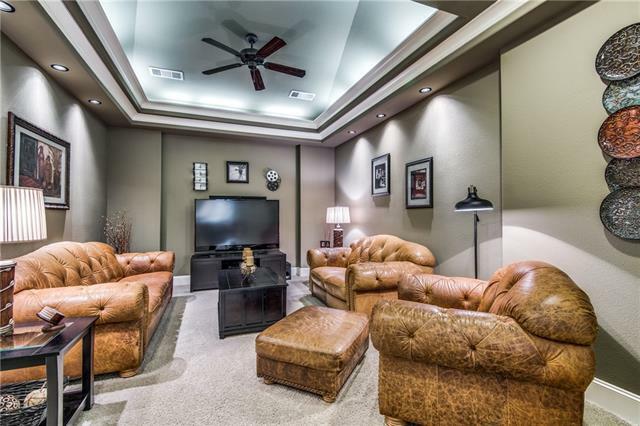 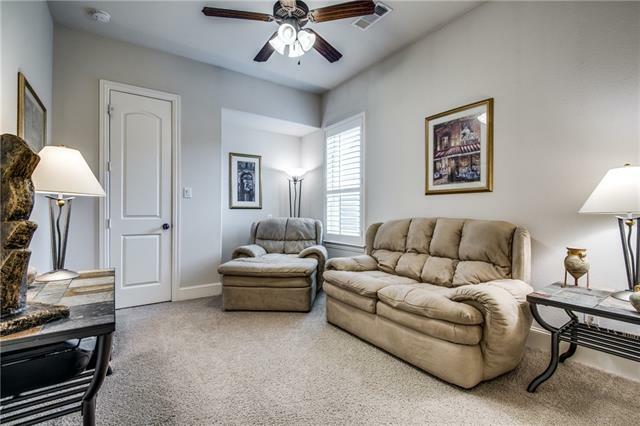 Tray ceilings,designer lighting, and in-ceiling speakers are truly whimsical.The split floor plan offers a master suite that includes a separate sitting area, large closet and built ins. 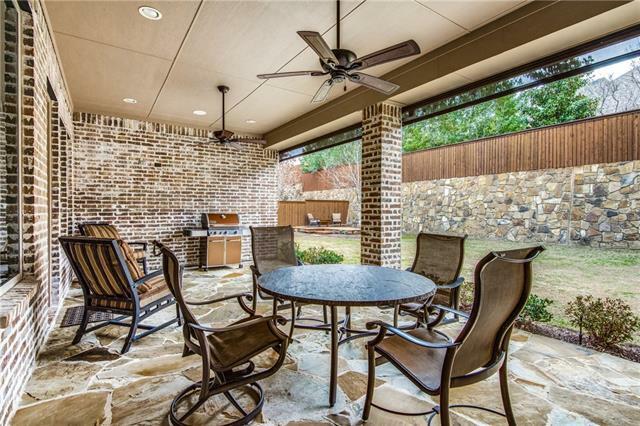 Just as lovely bkyd with a new deck and sitting area perfect for enjoying morning coffee or a quiet afternoon.